The GIS profession is rapidly changing. 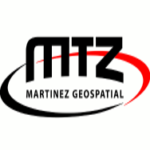 Emerging trends such as free and open data and new technologies that demand ever increasing web connectivity have created incredible opportunities while introducing substantial challenges for the GIS profession. UMGEOCON is an exciting opportunity to examine these developments while broadening individual GIS knowledge and community connections. At UMGEOCON, attendees can also expect the rare opportunity to learn how other regional states, agencies, and organizations are leveraging GIS. 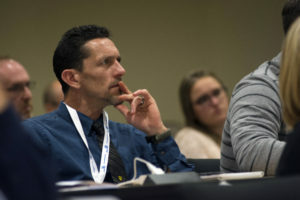 The primary intended audience is anyone who desires a unique opportunity to broaden their GIS community/regional connections and knowledge. 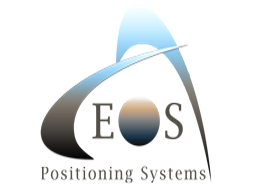 United States Geological Survey (USGS), and other national and regional geospatial programs. 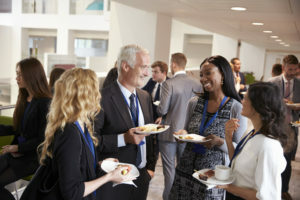 By attending UMGEOCON, you'll be supporting these important local, state, regional and national goals while making new friends and future business partners in an incredible learning environment certain to be FUN! Dynamic and insightful presentations on hot button geospatial issues and ground breaking developments. 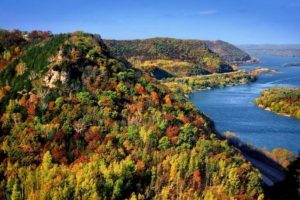 The amazingly beautiful Upper Mississippi River Bluff Country, picturesque bike trails, scenic riverboat rides, and a downtown built by old German brewing money - it's all waiting for you in La Crosse. Network with some of the best and brightest geospatial minds from across the American Midwest and North America.